Jerome Olive currently serves as the European senior vice president of manufacturing and logistics for Renault. 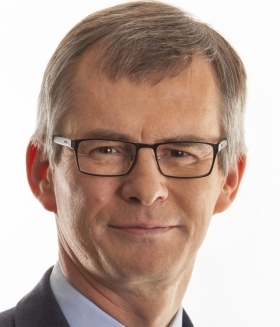 The Renault-Nissan Alliance today named Jerome Olive its new executive vice president of manufacturing engineering and supply chain management, effective Aug. 1. Olive, 57, will replace Shohei Kimura, who is moving to a new position in manufacturing with the Nissan Group. Kimura has served as executive vice president of manufacturing engineering and supply chain management since the position was created in April 2014. Olive currently serves as the European senior vice president of manufacturing and logistics for Renault. In his new position, he will be responsible for overseeing engineering and manufacturing collaboration between the companies. Olive started with Renault in 1982 and has held various manufacturing-related positions during that period. He was appointed to his current position in manufacturing and logistics at Renault in January 2014.